OGV is a free lossy video compression format developed by the Xiph. Org Foundation. This format can't be widely used. For example, most PC applications like Windows Media Player don't work with it very well. The solution you can think of is to convert OGV to AVI for wide uses. 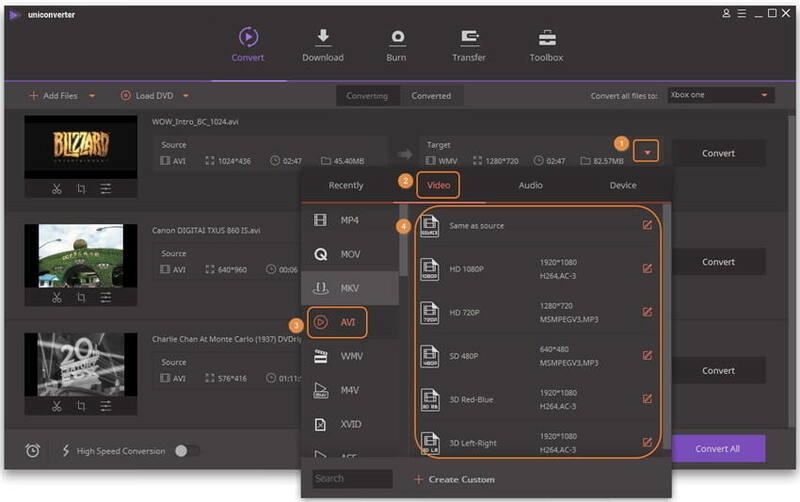 This article here mainly teaches you how to convert your OGV video files to AVI videos with very high video quality and quite fast conversion speed. Before that, you need to download, install a OGV to AVI converter first. Wondershare UniConverter (originally Wondershare Video Converter Ultimate) is the best choice for you. With it, you just need three basic steps to finish this job. 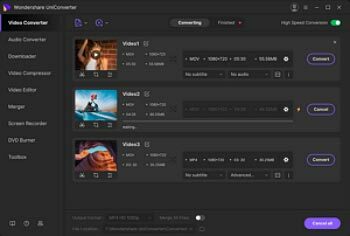 Besides AVI, this app also helps you convert OGV to any other video formats, even lets you enjoy OGV videos on your portable device ( Note: It supports almost all popular devices and can fit them best). What's more, there are a lot of video editting tools you can use, such as cropping, rotating, merging, trimming, adding various effects, etc. Both Windows and Mac version for Wondershare UniConverter (originally Wondershare Video Converter Ultimate) work and function alike, so in the following part, let's start OGV to AVI conversion on Windows. On the main menu of the program window, you can click "Add Files" button to load the OGV videos you want to convert. Alternatively, open the folder where your local OGV files are stored and then drag them to the program window. After you import the OGV files, they'll be shown in the left item tray as thumbnails. 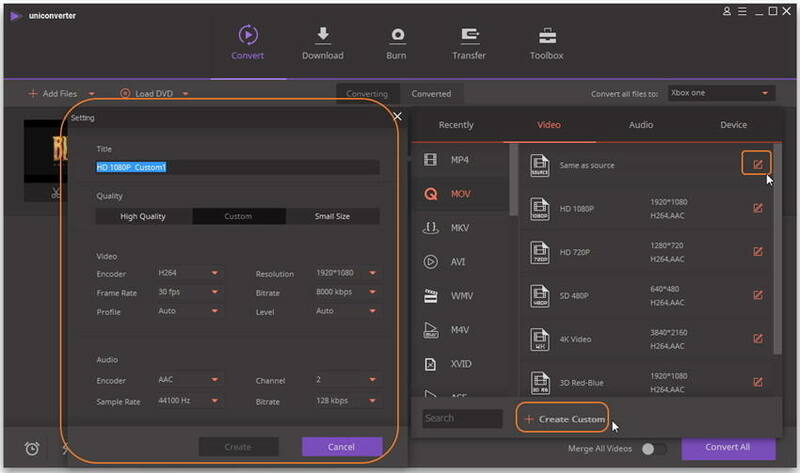 At the bottom of the output format list, click the + Create Custom option to set audio & video parameters like encoder, resolution, frame rate, bit rate and more. Click the editing icon under the video thumbnail, you'll be able to trim, crop, merge multiple videos and set video brightness/contrast/saturation, etc. After all is done, click the Convert button to start OGV to AVI conversion. Instantly, you can see a purple bar showing you the conversion progress. For your convenience, you can let this app run in the background, so you can do other jobs simultaneously. Switch to Converted tab and you can easily find the output converted AVI files, just feel free to enjoy them. If you want to watch them on some device, you need to transfer the converted files to the device for playback.